Фактически Present Perfect (результат) является следствием Present Continuous (процесс). Иными словами, процесс приводит к результату. Несколько упражнений взяты из замечательного пособия «Грамматика. Сборник упражнений. Голицынский Ю.
Упражнение 1 (для начинающих). Раскройте скобки, чтобы получить Present Continuous или Present Perfect. 1. What are you (to do) here? — I am (to write) a letter to my friends. 2. Who has (to write) this ar­ticle? 3. What language are you (to study)? 4. We have already (to learn) a lot of English words. 5. What is she (to teach) them? 6. Who has (to teach) you to do it? 7. He has just (to do) something for us. 8. Have you (to find) the book? 9. What are you (to look) for? 10. What are you (to talk) about? 11. We have just (to talk) about it. 12. He has just (to say) something about it. 13. She is (to tell) them some interesting story. 14. He has (to tell) us noth­ing about it. 15. She has (to tell) them some stories about dogs. 16. We have (to have) two lessons to­day. 17. They are (to have) a meeting. 18. She has not (to speak) yet. 19. They have (to ask) me several questions. 20. He has already (to learn) the rule. 21. I am (to write) an exercise. 22. What is he (to do)? — He is (to read) a newspaper. 23. Have you (to read) any stories by Jack London? 24. I am (to answer) the telephone right now. 25. He has (to fix) his car and now he is (not to have) any trouble with the brakes anymore. 26. You have just (to hear) to­morrow’s weather forecast. Упражнение 2 (для начинающих). Измените время глагола на Present Perfect. 1. The pupils are writing a dictation. 2. My friend is helping me to solve a difficult problem. 3. I am learning a poem. 4. She is telling them an interesting story. 5. Kate is sweeping the floor. 6. I am eating my breakfast. 7. We are drinking water. 8. He is bringing them some meat and vegetables. 9. You are putting the dishes on the table. 10. They are having tea. 11. She is taking the dirty plates from the table. 12. The children are putting on their coats. 13. Susan is making a new dress for her birthday party. 14. She is opening a box of chocolates. 15. I am buying milk for my cat. 17. James is opening a bottle of apple juice. 18. We are looking for more information. 19. Are you watching your favourite film on TV? 20. I am translating the text from English into Russian. Упражнение 3. Раскройте скобки, употребив Present Continuous или Present Perfect. 1.What’s the matter? Why he (to stop)? 2. My cousin (to look) for a job, but he (not to find) a job yet. 3. It (to be) impossible for her to feel at home here. 4. What you (to study) now? 5. They just (to give) you a pay rise. 6. Sophie is busy. She (to knit) a sweater for her grandson. 7. You only (to have) a piece of cake? You (not to eat) much. 8. People (to plant) carrots and tomatoes now. 9. You (to go) to plant tomatoes this year? 10. Johnny, who finally (to find) a new job, (to give) a big party. 11. How long you (to be) sick? 12. You (to see) any good mov­ies recently? 13. What you (to look) forward to? 14. Nancy (to look) forward to this weekend. 15. She (to go) to read Shakespeare and she (not to go) to think about work. 16. Mike (to leave) for work yet? 17. They (to pay) their electric bill this month? 18. How long you (to know) each other? 19. Your car (to make) strange noises. Is anything wrong? 20. The boy (to do) his homework and (to take) a karate lesson now. 21. I (to have) dinner with my friends at the moment and I am very happy to see them again. 22. Jay never (to travel) overseas 23. We always (to have) a dog and a cat. We love pets. 24. Larry never (to own) a sports car. Упражнение 4. 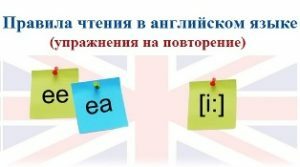 Переведите на английский язык, употребляя глаголы в Present Perfect или Present Continuous. 1. Она все еще читает. 2. Мы ее давно не видели. 3. Бабушка с дедушкой уже навестили своих внуков. 4. Сейчас они сидят в гос­тиной и разговаривают о своей поездке. 5. Ты ког­да-нибудь был в Африке? 6. Он уже купил дом и теперь собирается купить машину. 7. Концерт еще не начался, мы сидим в зале и разговариваем. 8. Подожди меня! Я не взяла деньги. 9. Я только что позавтракал. 10. Он уже позавтракал. 11. Мы еще не завтракали. 12. Они все еще пьют чай в столовой. 13. Я уже сделал свою работу. 14. Он все еще убирает комнату. 15. У нас сегодня было три лекции. 16. У них только что было собрание. 17. Она еще не читала этой книги. 18. Она все еще смотрит телевизор. 19. Кто это написал? 20. Что вы ему написали? 21. Я только что была у зубного врача и чувствую себя намного лучше. 22. Он говорит неправду. 23. Он не обедал. 24. По­чему он не обедает? — Он все еще разговаривает со своим другом по телефону. 25. Куда убежала эта кошка? — Она вон там, спит под диваном.